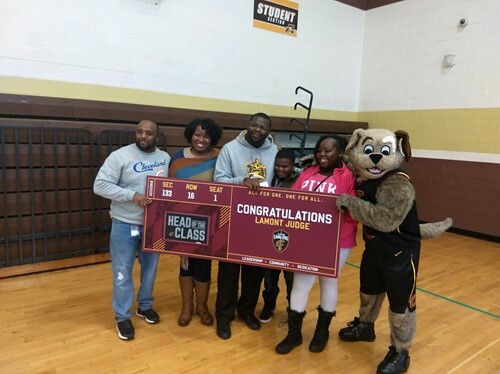 Lamont Judge of the Memorial Junior High School staff was recently named “Head of the Class,” by the Cleveland Cavaliers organization in a surprise ceremony in the building’s gymnasium. 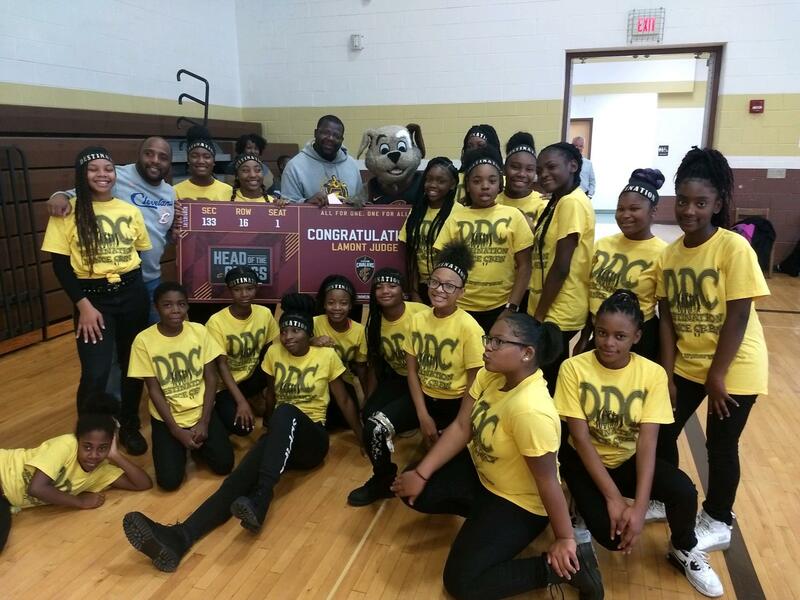 While instructing his famed Destination Dance Team, a spirited group of Memorial student dancers, the Cleveland Cavaliers’ community outreach team led by game time emcee Ahmad Crump and mascot Moon Dog, surprised Mr. Judge with this recognition. The Head of the Class award honors leaders in the community who make a difference in the lives of their students, a trait which Mr. Judge certainly demonstrates. His students respect him very much. Along with winning the Head of the Class award, Mr. Judge will be given two tickets to an upcoming home Cavaliers game and will be announced before the entire crowd at half court. In addition, Mr. Judge was given a $500 donation to use toward a school or organization enhancement of some type. Lamont Judge serves as head of security for Memorial Junior High Schools, oversees the Destination Dance Team and is the advisor for MAC ambassadors. On behalf of the South Euclid Lyndhurst Schools, congratulations to Mr. Lamont Judge for his leadership, mentorship of his students and for a job well-done in becoming the December winner of the Cavaliers’ Head of the Class award.